Celebrate The Holidays With A Sweet Treat From Mars Celebrations! You are here: Home / Great Deals / Celebrate The Holidays With A Sweet Treat From Mars Celebrations! It’s that time of the year again! From holiday parties to family reunions, to get-togethers, and weekend getaways, they all have something in common: FOOD. The abundance of food we eat during the holidays is non-stop. You name it, the table will have it! The holiday season is all about celebrating and indulging – in moderation, especially when it comes to comfort foods like chocolates. If you’re planning to attend a get-together or you’re looking for a holiday gift for friends, why not a Mars Celebrations bottle? Don’t show up to your next holiday party empty handed! The Mars Celebrations bottle contains a variety of chocolate candy mix, making it ideal for holidays, New Year’s Eve, and special events. Each bottle has Dove, Twix, Bounty, and Milky Way candies in a novelty champagne bottle packaging. These assorted candies are a unique gift idea for your friends, coworkers, or even sharing with party guests. Tasteful Centerpiece: Celebrate the holidays at the office or at home. It’s a tasteful centerpiece for any table. 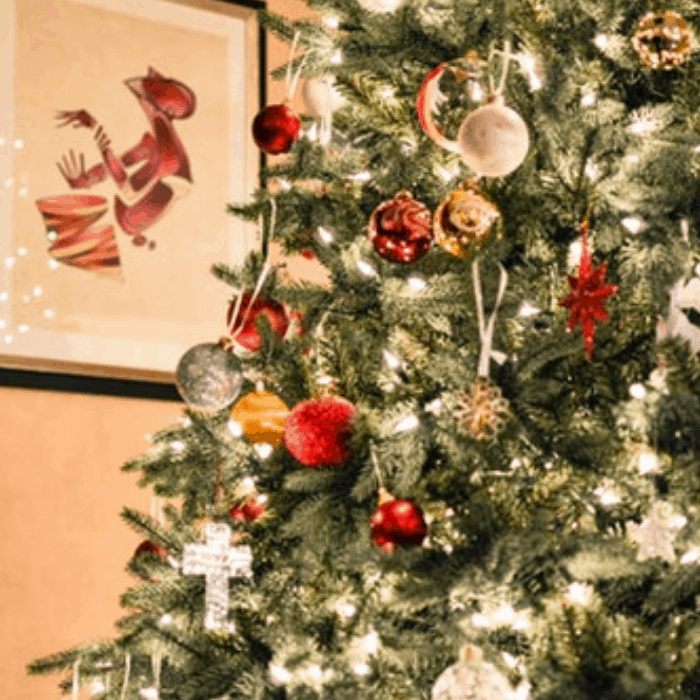 Secret Santa Gift: Are you participating in Secret Santa? 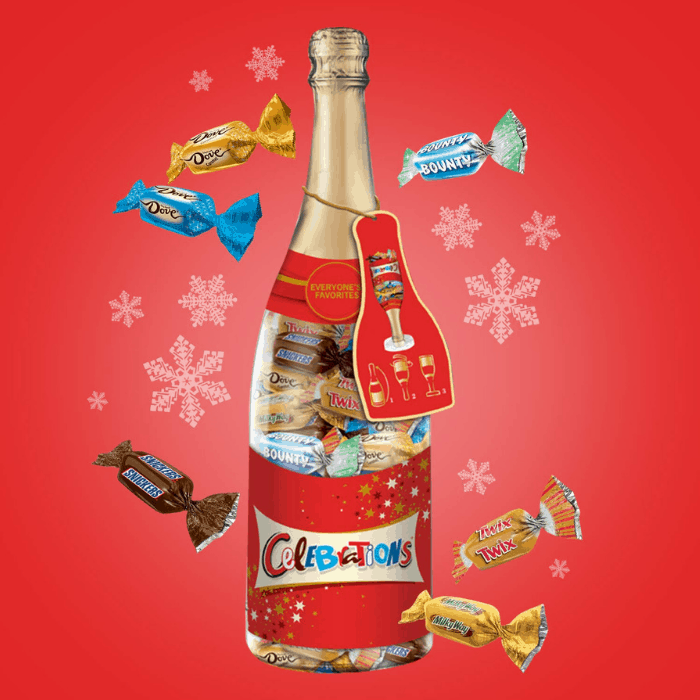 This festive Celebrations Bottle has candies that are perfect for a gift exchange. 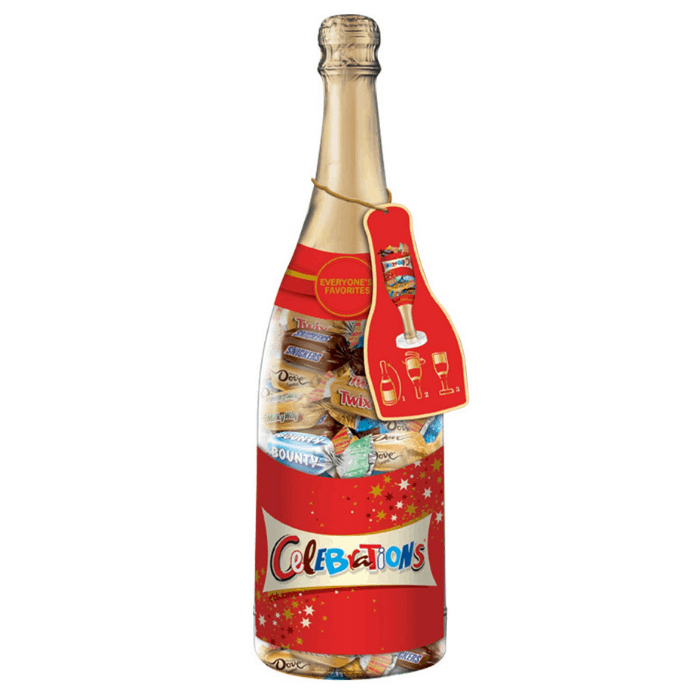 More Choices: Each Mars Celebrations Bottle contains a variety of chocolate and candy mix with a novelty champagne bottle packaging. There’s even more reason for you to get this Mars Celebrations Bottle! You can use this exclusive printable coupon for $1 off one bottle if you buy now through December 31! Redeem it at the nearest HEB Store. You can also open your Valpak envelope later this month to find additional Celebrations savings!